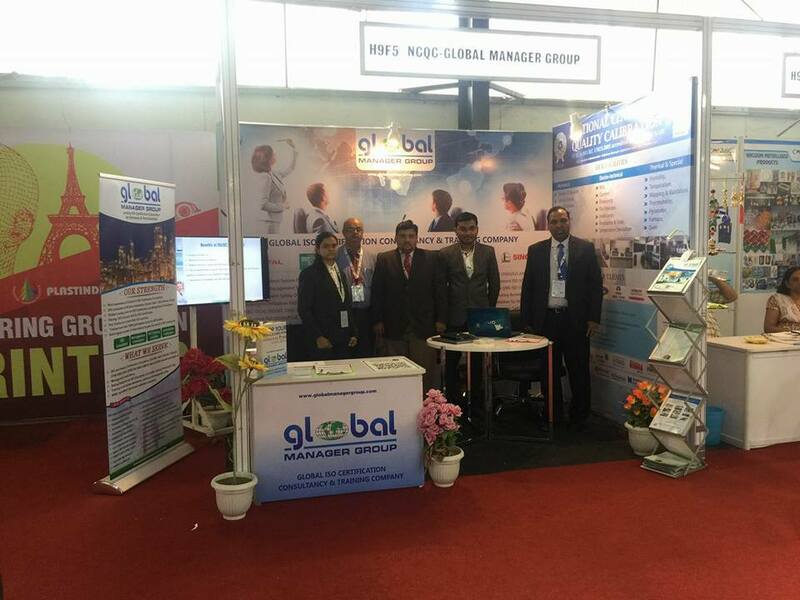 Global Manager Group, since 1991, is a leading name in ISO documents and ISO training and certifications. Time-to-time, we conduct training on ISO standards, their updates and how to implement them to get certified, across the globe. Till now, we have achieved 100% success rate as a successful certification consultancy. Recently, Global Manager Group’s director Mr. Devang Jhaveri conducted ISO training on 14th and 15th of March 2018 in the Kingdom of Bahrain. The course code of the training was LMS-BH-001-18. 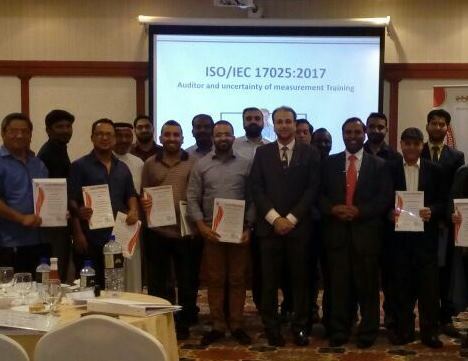 This ISO 17025:2017 training was conducted in partner ship with Infovision Consultants W. L. L. The entire ISO 17025:2017 training focused on the awareness of ISO/IEC 17025-2017 and certified internal auditors with emphasis on uncertainty of measurement and how can they perform their jobs better to bring effectiveness in the way their laboratories operates. The training program was successfully welcomed by the participants. At the end of the training program, the candidates were awarded with the certificates on ISO 17025:2017 Awareness/transition and Internal Auditor Training. The entire training content was delivered in an easy to understand and implement way with a special emphasis on ‘uncertainty of measurement’. This is because at Global Manager Group we understand that there is an uncertainty associated with every test and calibration. And, ISO/IEC 17025 recommends the results of quantitative measurement to be reported as both a single value and together with the possible deviation from the true value. The work shop, case studies and mock auditor role play was specialty of this course. This training program was designed for laboratory managers, responsible company/corporate management, lab personnel, persons responsible for documenting, implementing, maintaining or auditing the laboratory systems; and 2nd or 3rd party auditors. The Global Manager Group is a leading name in selling ISO documents and ISO training kits word wide. Since 1991, we have achieved 100% success rate for successful ISO certification consultancy. The management team at Global Manager Group proudly announces its new product launch i.e. D152 – BS ISO 45001:2018 Documentation Kit with editable templates, manual, procedures, audit checklists and more for Occupational, health, safety management system certification. The ISO has introduced long awaited standard BS ISO 45001:2018 on 12th March 2018, which represents for Occupational, health and safety management system of the organization. The new product is designed to learn OH&S management system documenting requirements and concepts with the help of given forms and templates. The ISO 45001 documents are intended towards those corporate professionals who are interested to establish a good OHS system in their organization based on latest ISO standard. The Team of OHS consultants of Global Manager Group has involved since releasing of first draft copy. More than 2000 hours are spent in the preparation of this documentation kit. It is developed under the guidance of experienced OH&S certification experts having rich experience of more than 20 years in the system implementation and certification. 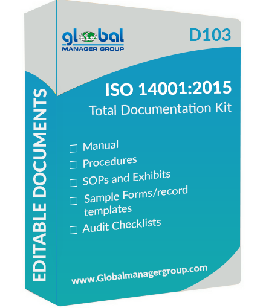 The ISO 45001:2018 Documentation kit is categorized in 11 directories like manual, procedures, SOP, filled and blank formats, OHS policy, audit checklist, hazard and risk templates etc. comprises of more than 160 editable MS- word documents that help you to customize your own documentation. The ready-to-use ISO 45001 document kit also comes with the compliance matrix, which is Requirements-wise reference documented information. Over and above, it comprises audit questionnaire of nearly 500 audit checklists. These ISO 45001 checklists help an organization to devise their own customized internal audit checklist. The contents of ISO 45001:2018 Documentation kit is evaluated and verified at various levels during preparation. The Document kit is launched to sell online at rate of just 499USD, which is very competitive price as compare to other products of Global Manager Group.